Rated 108 points - posted 10 years ago by pxc0 in category Other. I had a Brown coat golden retriever named Cocoa, she ways answered to either Cocoa or Toto. She was very loyal fun loving playful. Saved me one night on our routine walk from a man who wanted to assault me. She growled and when he tried to grab me she but him on the ankle and she and I ran home and I called the police they found blood drops but the man was gone. She was 4 when I lost Her. Best protection friend I ever had. Roy, my Golden Retriever, is probably the nicest dog I've ever had. Even for a 19 year old dog, he is very playful. I'm glad this dog is number one. My family and I have this Golden Retriever named Roy, and he is very sweet, gentle around kids, likes everybody, knows tricks, obeys commands, and is very playful. I would take them over a Siberian Husky or a Labrador Retriever, my two other favorite breeds of dogs. They are really awesome in my opinion. If you're looking for a dog, get a Golden Retriever. You will see how great they are. I have had many types of dogs. Less than 2 yrs ago I had to put down my best friend of 15 yrs. He just go old. Than I got a golden retriever puppy. We have had him now for 3 yrs. I did not think any dog could take my heart like the one I had for so long. But this golden did. The other day we received horrible news. Our 3 yr old golden has a rare form of cancer and has 4 to 12 months left to live, depending on how he responds to his cemo. I was going to get a golden but opted for the lab instead. What a smart choice I made. I have three labs now and they are so much smarter than any of the goldens that my friends and family have. they are the friendliest and playful dog I've ever had. His name is Sean but sad thing he died in November 17, 2014. he was very kind and playful. he will never bite. 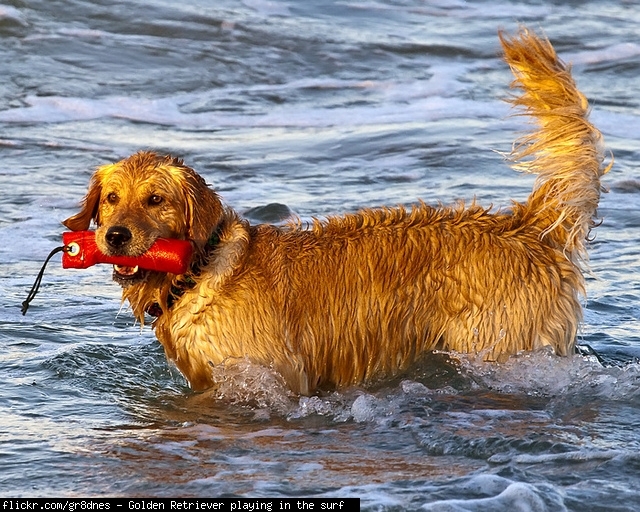 Golden retrievers are the best! 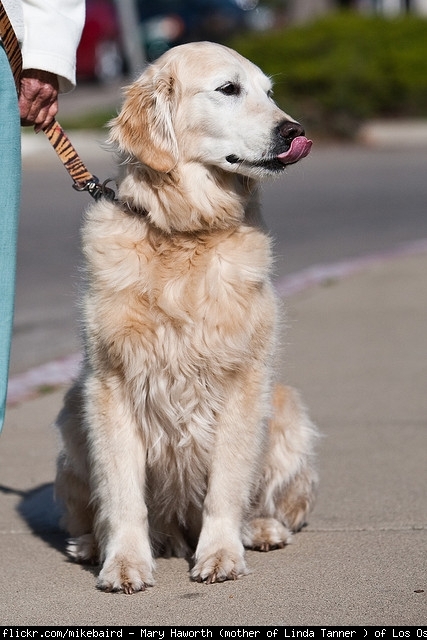 we heve a beatiful golden retriever who is the most friendly loving dog in the world. best breed ever! My Golden Sammy lived to be 17. He was the best friend I ever had. I've had many dogs. Many good ones, too. Last dog was a golden, the current one is a golden, and that's all I'll ever own. Loyal, smart, sweet and eager to please. Great companions! I have a Golden it is called Biscuit she is really lovely and Intelligent . I love Golden Retrievers because I have one Their very intelligent and friendly.Golden Retrievers are pretty dogs especially the brown ones. these are the best dogs EVER!!!! stay #1 dogs!! Loving, loyal, beautiful, smart, and playful! I love my little golden Gingi! their the best dog in the world.They have the most beautiful color & they are so loving. I used to have one, but it got sick & passed away. 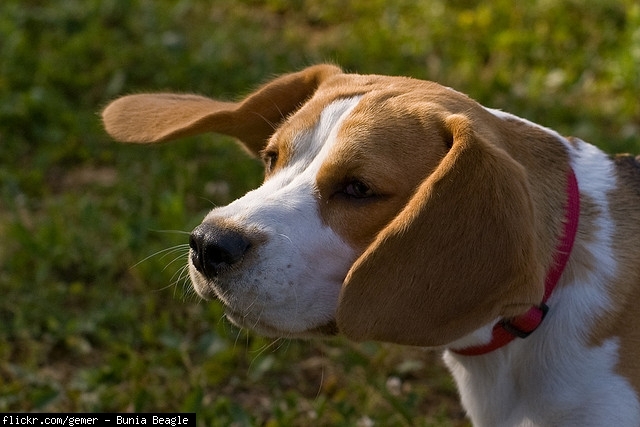 Alert and energetic, beagles are very athletic dogs while not getting too large in size. They make terrific hunting and outdoors dogs due to their tracking skills and energy. They need constant exercise though, and may gain weight or cause trouble if confined to a house. Beagles are my favorite dog breed! My aunt has one named CJ. beagles are the best dog! Easily the best eva! Beagles can be lap dogs or outdoor dogs, but whatever they seek to please and stay with their owners. Sweetness is defined by the beagle. As the saying goes, all dogs are pets; beagles are family! Absolute best dogs in the world. Sweet tempered, loving and hands down the cutest dogs on the planet. I have a 10 year old beagle he is soooo sweet, and so good with kids. They can be awful pets if you don't have enough time or space for them . People who are thinking about adopting one really need to consider this seriously. they deserve to be on the top of the chart!!!!!!!!!!!!!!!!!!!!! THEY ARE THE CUTEST DOGS EVER!! I had a Boston Terrier called Tiga. He had a little spot on his forehead. He was so cute!!! Best dog ever??? DEFINATELY!!!!!!!!!!!!!!!!!!!!!!!! I have a Boston, and I nickname him "Velcro" because he is always, always next to me! I live in the country side. Most people have this breed. Very unstable breed. should be working dog only. Have bad habit of nipping. it is called the most intelligent dog breed int hte whole world. Great,Loyal,Intelligent,quick to learn, loves to learn. Obedient is not the same as smart. 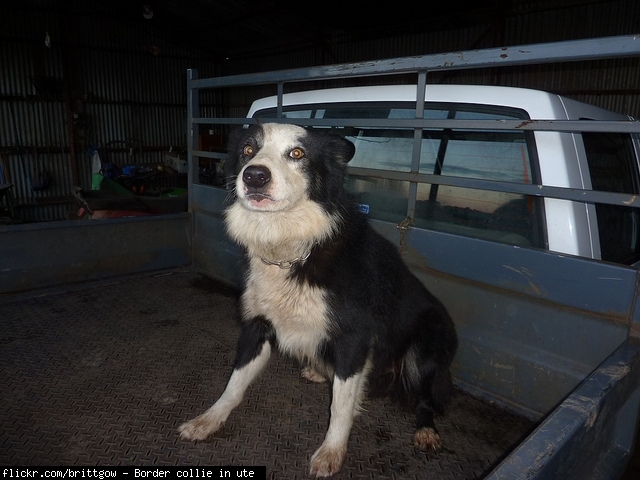 Border collies are extremely obedient. I think these are beautiful animals . I have never known anyone who owned one but I have heard that they are very smart but need to work.or they are unhappy? 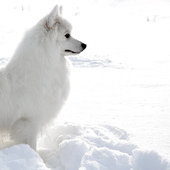 One of the most versatile dog breeds in existence, these dogs can serve a number of purposes. They are strong, intelligent and athletic and have a ton of confidence. Their outgoing personalities and take charge attitude make them a favorite of law enforcement agencies and the military. German shepherds are the greatest dogs ever. They are soooo cute and deserve the number one spot for best dogs. They are beautiful and loyal, sweet and effecionate. They are extremely protective. i LIVE for these dogs. I have two young ones called diggs and koda. They are wonderful with children. I LOVE LOVE LOVE THEM. I do like these dogs and I do think that they are okay, although I heard that they aren't actually as nice as people say they are around children. German Shepherds are one of the most intelligent breeds of dog in existence. They are versatile, agile, fearless, confident, loving, and have great stamina. This makes them good at just about anything, such as, police work, military work, service dogs, herding, disc dog competitions, agility, dock diving, flyball, jogging partner, and even just a great family pet. If looking into getting a German Shepherd, it is important to understand that if you do not want super high energy, get a low drive dog. High drive German Shepherds will completely overwhelm an everyday person who is not willing or able to work with their dogs several hours a day. If not adopting, be sure to buy from a reputable breeder. 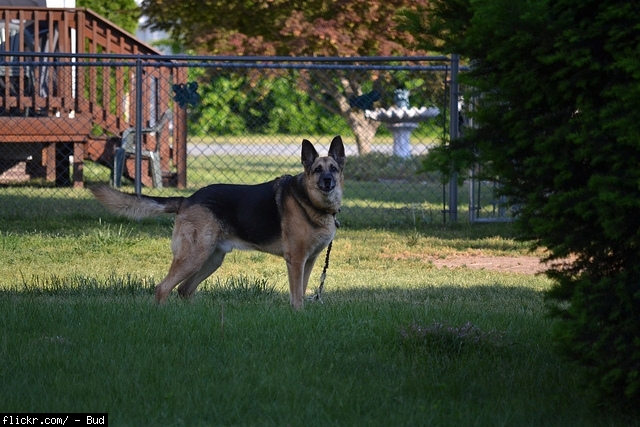 German Shepherds are prone to hip dysplasia, which is hereditary, so make sure both parents are OFA hip certified or have no history of hip dysplasia or any other health concerns. German Shepherds generally cost a lot to buy and they eat a lot, so prepare to put out a lot of money. There are many different colors that you can buy. The one that people are most familiar with is black/tan. They also come in black/red, black/silver, all black, all white, liver, and varying shades of sable. Getting a German Shepherd is a decision that should not be made lightly. However, for the right person, German Shepherds are loyal, loving, and exciting companions. Hah, Rottweiler's are and always will be the all around best dog to own. Because it only has one downfall, stubborn, but if you have patience, the best dog ever by far. 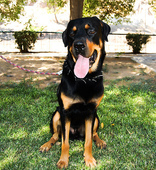 Rottweiler's will gaurd your children and family. You can't trust a Sheppard with kids, buddy just admitted it . by the way Rottweiler's are used as cop dogs as well and prove much better results than Sheppard's do, it just takes a bit more time to rain a rottweiler. So don't kid yourself Sheppard fans, don't be as certain as you think you are. I love German shepards. Mine has a stub tail. Obviously the previous commentor has never seen a hyena. . .
German Shepherds are the BEST dog breed in the world!!!!!!!!!!!!!!!!!! i own a German shepherd and these are the most wonderful dogs in the world , mine dog's name is SIMBA i really love him ........... they should be #1 in place of 3 ... the best dog ever made. i'm from Germany and there i got my sheperd and its AWSOME!!!!! I'm Prince from India.I have a german shepherd dog.It's a very versatile and wild dog generally a fearsome and a guard dog.With their unquestionable intelligence,these dogs respond well to training. Words just cannot describe the sheer beauty, loyalty, intelligence, versatility, and personality of the German Shepherd. Best dog ever, excellent with kids and should be number ONE! The best breed around. German Shepherds are everything in one package..smart, protective, enjoy working,great family pets, loyal. The most amazing dog ever!!!!!! awesome dog in the world. faster lighter and more agile than a german shepherd. cant believe it hadnt been listed. BEST DOG IF YOU DON'T OWN A BELGIUM MALINIOS YOUR DOG IS JUST A DOG....Seriously have grown up with German Shepherd, Doberman, Rottweilers, Chow and never seen a dog like this. NOT everyone can own this breed they now passed the German Shepherd in the police, military. Completely amazing breed. Do your homework before getting one. Completely UNSTOPPABLE. LOVE MY ZORRO. ..
the best. Ask the military. i like this dog because its very obedient. Brave but patient in children. In police work, there is no quicker dog than the BELGIAN MALINOIS in defending against attack or in grabing suspect. yes i agree for that. Another dog that's not really attentive.hard to train,poor listening and hard headed. I love Siberian Huskies they are cute and loving. 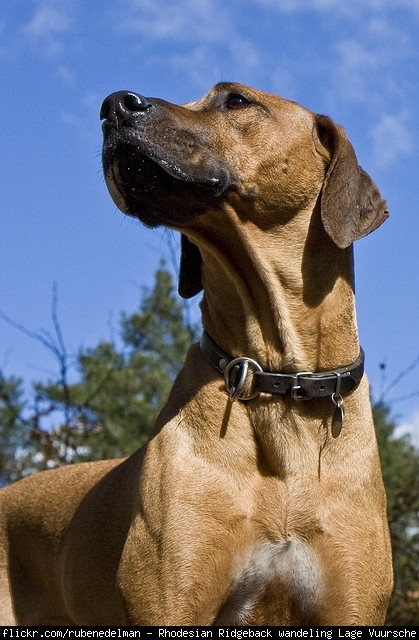 Many people consider this breed one of the most intelligent dog breeds. They are so loving and careful with the family members. More tops presenting the most intelligent dogs think this breed is indeed full of resources, but professor Coren wouldn't have said so in his top of most intelligent dog breeds. One if the best dogs around. They are strong to pull sleds, one of the best dogs you can get!!! These are gorgeous dogs filled with love!! and such stunning blue eyes! My Jack, Ruby, is by far the greatest dog I've ever owned. She's incredibly smart, loyal, friendly with other dogs AND KIDS, despite what some people might say. She plays when you want to play and she snuggles up to watch tv when you want to do that too. I love this dog to death. I couldn't have asked for a greater fur baby. Oh, and she's absolutely adorable. That's a huge bonus :) If anyone says that their dog is a jerk, it's probably because they aren't good doggy parents. Some dogs, like humans are jerks and were born that way, but 90% of the time if a dog is disobedient or mean, it's because the parents did not raise it properly. Dogs take a lot of time and effort for the first 2 years or so of their lives, but it's so, so worth it in the end. I would definitely recommend a jack russell for anyone looking for a dog. You won't regret it!! Luv my Jackie Mac. She is actually a Parson, but practically the same dog. I think she is uber smart! Love my J.R. He's playful,fearless of big dogs, and is so cute to cuddle. Very intelligent,once told what cat is then after saying 'cat ' he looks for it everywhere! Jackies have unique personalities. Our Sake is goofy, playful, energetic, fearless, very inquisitive, but obedient and loveable, extremely intelligent and a wonderful "kid" to have. 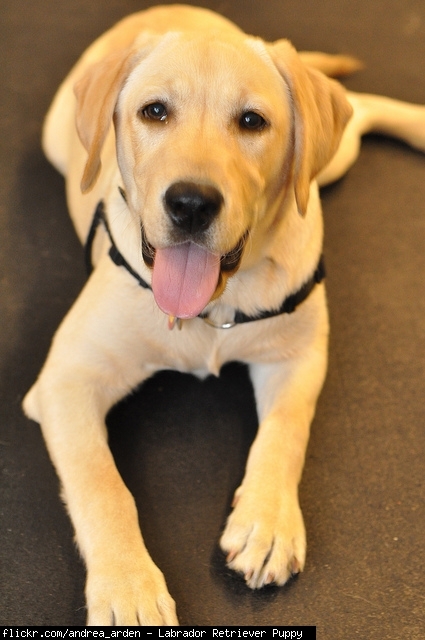 The most consistently popular breed of dog for Americans, The Lab is considered the perfect family dog. 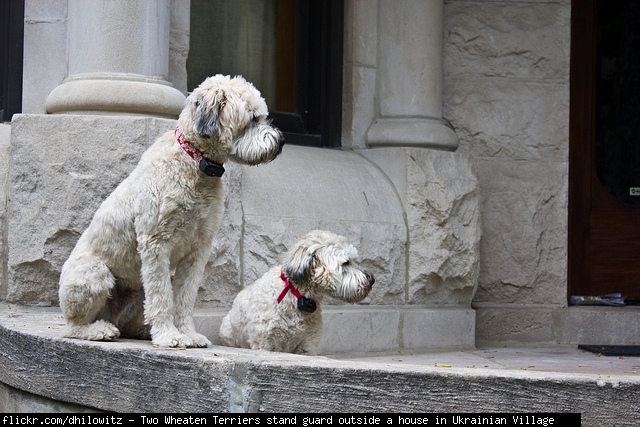 They are smart, affectionate, loyal and make very good guard dogs. Love my Lab Australian Shepherd. , I have a yellow lab. She is the BEST dog I could ever ask for. Loyal, protective, smart, funny, easy to train, etc. 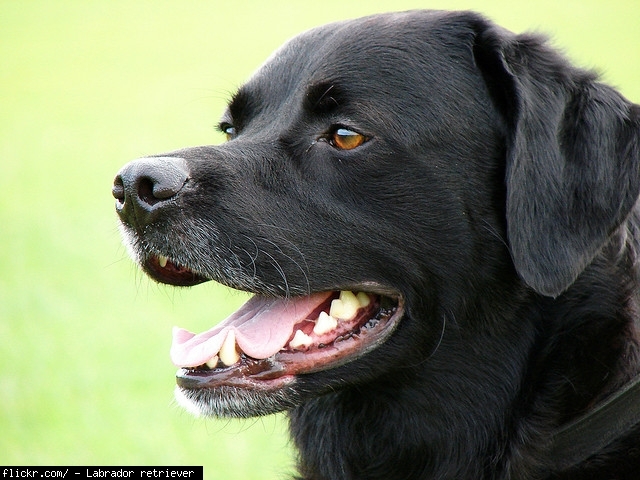 I have black Labrador and it is very intelligent, clean, lovely, cute. I love it very much. For me it is the best dog ever!!!! my niece had a black labrador named cleopatra she died because of heart failure and she visited her everyday to remember her always leaving flowers in her tomb just beside there house. she was 10 years old. i had a black lab mix named miley. she died at 6 because of kidney failure. But that doesn't mean that you should not get one. They are fantastic dogs. Miley was smart, she learned (sit, paw, other paw, down, stay, come and other words) in one day!! I miss her like crazy she was put down on April 30, 2012. But they are the best dogs out there. Also we never had to leash her anywhere we went!! I have a yellow lab I love him he's so cute. i have a black lab they rock GO LABRADORS!!!!!!!!!! They are very friendly and cute! I have three labs! There awesome!!!!!!!!!! Beautiful, smart, playful, sweet, funny dogs. Energy to burn, so don't get one unless you live in the country or are super-active. I know TONS about dogs. I have been studying and looking at them since I was 7! I currently own a dog now, and help my grandma with hers. 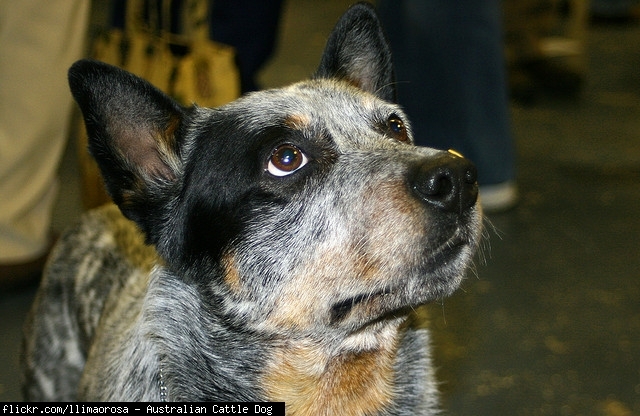 The Australian Cattle Dog does not have fur like described in that other comment. They have short hair that is very smooth. They also weigh 30 to 60 pounds, NOT 17 to 33! Also, unlike mentioned in the other comment, which is very important, they are 17 to 20 inches tall, this is important because, how will you know how big they are if you don't hear it from a professional? I lost my Aussie on July 3, 2013. He by far was my most loyal friend. He was very intelligent and loving. He was always there to help me when I needed him.I truly miss him. My Aussie, I put to sleep last Friday, had him almost 15 years. 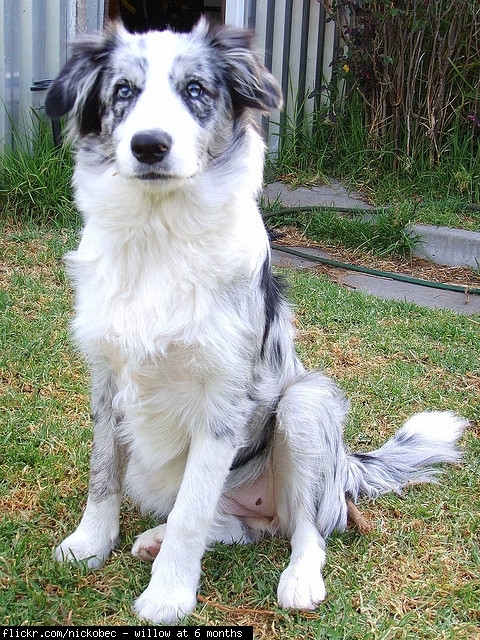 I have owned from Poodles to Great Danes, with many breeds inbetween and without a doubt my Aussie love was the most intelligent, loving, protective faithful friend I ever owned or who ever owned me. My Aussie is probably the smartest, prettiest, best behaved, friendly, athletic, affectionate dog alive. Very protective of yourself and your family. They treat them like their flock, thats typical in herding breeds.. I wish I could have one because they look very smart. These dogs are great. Friendly, intelligent, hardworking, and extremely loyal. Very underrated. I own one. They are awesome!!!! Best dogs on the planet! I have had five Dobermans. They are the most loving, intelligent, family protector and the greatest and most loyal companions and best friends. My daughter and three grandchildren live with me and my Max absolutely adores them. He has to ride with them as my daughter takes them to school. I have loved everyone and still miss all of them that have passed away. I want everyone of them to outlive me, but of course, they don't. I have a 2year old male, Max, and he is my very best friend. I love my dobies! Very smart, agile, vast, great looking. Best ever dog breed. Terrible with kids! good guard though I recommend against getting one for kids! There is NO OTHER breed as the Dobie. The ORIGINAL 'bad dog' of the 80's. My lovable pup is our family's greatest prize. He is truly man's best friend! Very easy to train,very loyal and beautiful. Will protect its family. I knew one and their just a doll!! You have to prove to rotties that you are more stubborn than he/she is. Training is an exercise in persistence. This can take quite awhile as they are very headstrong, independent, and perceptive. Once you get there, they are the most amazing dogs. Loyal like crazy (and really just to you), defensive of you, careful and calculated. They don't just march into anything like a pit or bulldog, they are leery of new people/stimulus. Make no mistake, this is not a golden retriever that will crave obeying you and love everyone. 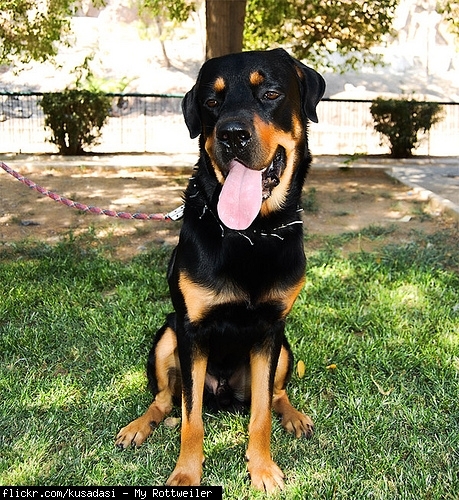 Rottweilers are a two-way relationship dog, you have to give and get. With time, the "get" far outweighs the "give". 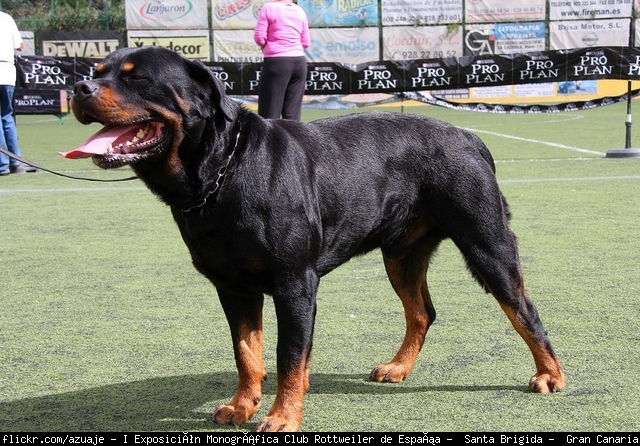 I also have a rottweiler but their very stubborn and hard to train, but i will advice u to send it for about 2 to 3 years of training and it will be the best dog in the whole world and even be better than German shepherds,FYI rottweiler are stronger and their bite are more powerful than a German shepherd's bite which makes them a better garde dog,they may gain intelligence and fitness in their training process which will make them the best and the number 1 family and garde dog. Very stubborn hard to train dumb dog.I've never been around one yet that has been smart. I've seen a Rottweiler and they are SOOOOOO CUTE! I WANT ONE! Had one and there adorable and sweet!!!! Very good with children. I would perfer this dog to any family. There easy to train and if your reading this please'O'please get one. crab....one of the most versatile dogs....very easy trainable since its in the top 10 smartest dogs! it is surely a good dog but the only negative point is that it is not that easy to train it by the owner . This breed is very popular with men, as these dogs are athletic, powerful animals made to be guard dogs. Although they look fearsome, they can be surprisingly affectionate and make great family pets. I love Daisy! Boxers rule,mastiffs drool! Daisy is a boxer. Lost my Boxer, Max, in January. Sweetest, kindest most loving dog EVER. I have a hole in my heart that won't heal. I miss him everyday. You will NEVER go wrong with a Boxer. I am also surprised that Boxers are not higher on the list. They are loyal, fearless, yet funny and loving. They have a personality closest to humans of all the breeds. I have had 4 of them now...just got my newest puppy 3 weeks ago and he's already awesome. I'll never have any other breed. The friendliest and most loyal dogs ive EVER seen, and the best dog all around for children, they are smart, friendly,playful and protective of there families, especially there main owner and children, i will always have this breed for the rest of my life. I also have a boxer and he's so sweet living and protective. Can't believe the boxer is not higher up the list,amazing dogs. Have 2 girl pugs , love them , great house dogs , love to play, very curious at times. They Follow me all over the house. Wouldn't trade the for the world! sweet dog that loves you and attention they also can eat ALOT! thy can get rough when playing my 7 year old got a nip from ours. best dog loyal,strong,and will help u with anything. Were bred to hunt LIONS, look death in the eye and don't back down. Can keep up with a running horse for 30 miles. Extreme indurance. immune to insect bites. Webbed feet for running in sand and Swimming. Rhodesian Ridgebacks are really cute especially the puppies. They're great pets! My friend has a Rhodesian Ridgeback who is very protective and well behaved. He is good with children and likes to play. I think if you want a large, protective dog, then this is the perfect breed. With one exception, our Ridgebacks have been very smart. They have also been very loyal and loving, but are NOT immune to insect bites. Benadryl helps a lot though. Very strong, agile and good stamina, but Salukis have more stamina/endurance. Great dogs and very loyal. I have a rhodesian/boxer and I got attacked by a dog while walking my dog down the street and my dog jumped in front and attacked it and it was a 80-100 pound pitbull and my dog got beat up pretty good but the other dog got hurt more and my dog was still able to run home. Rhodesian was not used to attack the lion, but to destract the lion so u could kill it. They were used to be expendable. Our Rhodesian Ridgeback was house trained at 10 weeks, came back off the lead at 12 weeks and has developed well ever since. She is like a sister to our 3.5 year old daughter and they are insepperable. Given clear boundaries this is a breed of dog that will never let you or your family down. I really want a rhodesian ridgeback but my mother thinks its a bad idea because we have a younger brother who is 3 years old, any links that say that the ridgeback is a great family dog? the rr is the best dog breed brave,loyal,loving,protective,good with kids and an great guard dog! sweet......going to get one and cant wait. Seem like a great dog. My fam always had shorthaired pointers growing up. Sweet but skiddish. I couldn't agree more. They probably aren't really dogs, but Einstein in fur. This breed excels at search & rescue. First will hunt by sight, then scent like a bloodhound, will also scent from air. I can't think of any other dog that can do everything a RR does splendidly. I agree. I have a Ridgeback and thay are the best breed ever. 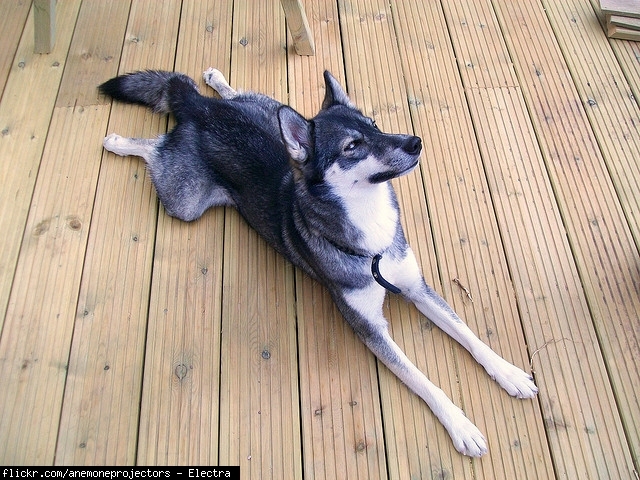 Extreme indurance, inteligent, fast, beautiful and a great family pet. Great with kids, easy to take care of, energetic, this breed is for almost anybody. Also they are amazing watch dogs so they are great with elderly too. Not too big or small.Also is REALLY,REALLY ADORABLE!!!! My first dog was this one. She was always playful, loyal, friendly, etc. She would always be filled with excitement and energy. TIP: When you drive into/out of the driveway, make sure you know where they are FIRST. My mum's friend drove over mine. He plays with my giant Lab Australian Shepherd. This breed is always looking to please. It truly fits the phrase of mans best friend. These little dogs are amazing. Not only amazing with kids but a great adult friend that just wants to please. Cuddling to watch a movie or a swim in the sea. They are fearless dogs. They may be small but they are fearless dogs. I have one and he is a great little dog. I am so happy I got him! I made the right choice. German shepherds are NOT weak and coward! they are strong and confident! if it is weak you should ask a vet o look at it or maybe it is old! Beautiful and friendly all around, ready to take on the world, as well as Boxers, I plan to always have one. 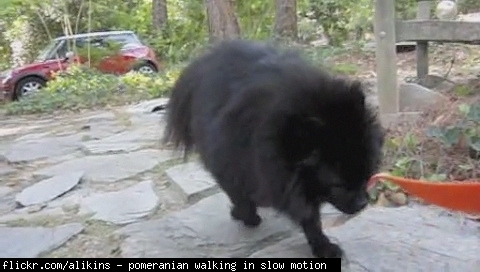 I think pomeranians are fat~! I agree that Pomeranian are very ugly. I am very unlucky bcoz i have one German shepherd which is to weak and coward. My brother is very lucky bcoz he have a Labrador whi is very strong and powerful. Poodles are considered the second most intelligent dog in the world. Some are known to have learned long lists of words and their meanings. The Poodle is a breed of dog. The Standard Poodle is regarded as the second most intelligent breed of dog after the Border Collie, and before the German Shepherd Dog. Otherwise notable is this breed's keen sense for instinctual behavior. 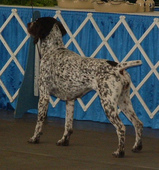 In particular, marking and hunting drives are more readily observable than in most other breeds. Even Toys will point birds. Most Standard Poodles make great watchdogs and some even have mild (and sensible) protective instincts, but this is not an aggressive breed. Their attitude toward people varies from friendly to politely reserved. I have an American bulldog and I love her! She's very playful and funny and very protective. They are not that difficult to train. My family had an English bulldog and then we got our American bulldog. English bulldogs and American bulldogs are the best! They will be lazy with you, they will be playful with you, they will cuddle with you, they are easy to train, and they are good with kids and adults. American bulldogs can act really crazy something, but other than that American and English bulldogs are the best dogs ever! I love them when they DRIBBLE! My Maltese is super cute. Perhaps the cutest dog in the world. Arn't Maltese they adorable? I have a Maltese named Pochi!!!! Adorable and very intelligent and funny! Such cute, friendly dogs. Me and my BFF want one of these loving, popular companions when we're a bit older. The name Bella really suits a brown and white one. I think they should be the top dog breed for the UK. They are amazing dogs! My aunt's best friend has a cavalier puppy named Oscar. I love these dogs! Mine Lily is my best friend, they're playful,curious, and ADORABLE! they're so energetic to new people but they wouldn't harm a flea.Its soo fun watching them! SOOOOOOOOooo good with kids small, cute and good for first time owners with kids! "A watch dog" not at all really. Much to loving. Mine is adorable, she defends my kitten against the older cat who hates the kitten. The most loving dog you could ever own. A loving companion who will truley be your "best friend". The have no enimies and believe nothing will hurt them. Friendly to everyone. BEST DOGS IN THE WHOLE WORLD. I love them they don't bite and are very great for children; I grew up with one! They are so handsome best family dog should be first on the list they are the cutest dogs ever!! I love them they are friendly and adorable!!! They the most cute and beautiful dogs ever!!!!! !I LOVE THEM!!!!!! GREATEST DOGS EVER!!!!!!!!!! I love both of mine: Charlie, and Chester. They listen very well, and are amazing family dogs, although they are quite expensive. The cutest dog! Easily trained and great family dog. A watch dog, and a lap dog,intelligent, loving,and loyal! The only dog I've ever had, but by far the funnest dog I've ever met. My weimaraner loved everybody he met, and was infinitely lovable. He was pretty intelligent, and extremely athletic. He loved to hunt and chase tennis balls. Great dog for an athletic family. The one thing I didn't like was how much he would bark. Weimeraners are even used in the police force ,they have got 2 types off tracking smell ,( ground and air ) they can track down human smells as well as narkotics . My Weimeraner are the most loyal Dog that I have Ever had or come accross .He is loyal .very active wants to run ,love to chace hokkey balls ,and are one of the best hunting dogs ,for small to medium game . will protect you with hes live and are very attached towards your family . very playfull ,loyal,have run constanly ,exsersize needed.best family dog (friend ) willing to protect your family at any cost .needs allot off attention and love , Need to have a stong hand from a puupy ,then he will follow you to the end of the Earth. Most loyal friend ,companion ,playfull ,and there owner meens everything to them ,can not be without you . loves children very protective off family ,and willing to Guard you in any situation .rating weimaraner. 110% Loyal . Not in it's traditional role but as a family pet. They originated from ancient egypt. The akita is a loyal but dominate breed. They can be overproctive. They are very strong dogs. Rumor is that two can take down a full grown bear. Also, akitas are very freindly towards kids. They make a great companion. In all, the akita is a loving and protective companion. Yes akitas are from Akita island... Japan!...I have a 9 year old Japanese Akita BEAR awesome dogs and yes she had had more the one bear up a tree!!!! Our male puppy Akita is 8 months old. He love to be chase every morning, especially before I go to work. He love to walk and love to be pat on his head by co- walkers that appreciate his handsome look:) He love hugs and kisses. Akita Inu...origin from japan, not from egypt..
Staffies should go first!!! How can a German Shepard be first! I always c Staffies & Labradors walking about the place with their owners! Staffys should be first! Or at least in the top 10. I've owned different dogs and staffys are very loyal! Their also very protective and I agree with the other comments, THEY ARE NOT CALLED NANNY DOGS FOR NOTHING!!!! Best dog ever. So loving, loyal, gentle. Mine has never met a human he did not love. He watches over my toddler grandkids like they are his own. He is protective of me as well. Smart, easy to train. Just a wonderful animal. Love my Staffie! I agree that these dogs should be in the top 5. Every dog i have ever owned has been an english Staffordshire bull terrier in some form. At he moment i have a staffy cross border collie and a brue english staffy. They are the greatest dogs of all time. They have an amazing temprament and are great with small childred, they are loyal and would follow me to the end of the earth. Are you kidding?!?! The dog breed referred to as "The Nanny Dog" because of it's gentleness with children, disabled, and elderly so low on the list! Top 5 as sbould be the AmStaff! This list is a joke! I have had 2 shelties and no one is getting in your house without you knowing.Train them right and there is no better dog. I love sheltie. They are excellent family dogs and even though they take time, it's worth it to own one of these beautiful doggies!!-!!!!!!!!!!!!!!!##!! Shelties are one of the smartest, most loyal dogs who have more energy than most people can handle. Sure, they "talk" because they love attention and they love to be noticed. You can train the bark out of them--it just takes time, Give them love and they'll respond in kind, tenfold. Overall: intelligent, beautiful, graceful, loving, loyal, funny! People that can't deal with a talkitive, smart animal need to shy away from this breed. They have a lot to say about just about everything which is why I love these guys. Shelties rule! I have 3 of them. although i thoroughly agree that sheltie's are beautiful, they can be annoying when they fnd something annoying and continue to bark! My husband and I had the pleasure of being owned by an Airdale. She was the best dog. She was easy to train. She stayed in our yard, off leash. She understood her boundries. The kids in the neighborhood would come into our yard to play with her because she knew she had to "stay in the yard." She wasn't overly affectionate, but she let you know she loved her humans. She was alert and protective, she always had my back. She was also very entertaining. She got Evans Syndrome and passed away. We miss her very much. our pap is 7 years old. He thinks he was bread to fight lions, he trained so easily that my children were teaching him 2-3 new tricks a day when he was a pup. He is quiet unless he is protecting his yard from squirrels, and he wants to be near his people every second. If I pick him up, he wants down, but as soon as I sit down he is on my lap and if I move to another room he will get up and follow. The ONLY downside to my little canine person is that his beautiful coat sheds so we end up with white hairs on everything. These dogs are considered the most intelligent toy dog and make great lap dogs. my nan has one and their epic, they get along well with other small children and small animals. My other aunt really wants a Great Dane. they became the surprise when challenged. Probably the most popular of the small breed dogs, Yorkie's are known for their winning personalities and loving attitude. They are ideal pets for children and the elderly, as they love attention and are not very athletic. Yorkshire Terriers are intelligentand very active. They almost never shed. Andsome are so small they can fit in your coat pocket. They do yap a lot but make a grate family member. I suggest you buy one. They are the best dogs ever they are go for kids 6 and on and they are smart too my dog always goes to find my 12 year old when she is hiding and all ways finds her. they also are good for city living in Apt. Yorkies are very, very athletic. My dog could run all day. She does tucker herself out, but she loves ball and will play for hours. I love Yorkies! Cutest dog ever!! He is very athletic! Very energetic breed. one of the most versatile hunting breeds and make great family pets. I have owned 6 shorthairs over the past 20 years and am about to acquire two new pups for Christmas. Besides being extremely intelligent friendly and athletic, they are also very trusting around little children. I have never worried once about them showing any aggression to a child even if that child was hanging all over them. If you are considering a GSP, get one with an even temperament because these dogs have big engines that can go all day. If they are going to have access to the home, they need to be able to shut that engine down when they cross the threshold. Once inside they will crawl up into your lap or be the first to the bed at before sleep. In summary I will match any breed against the GSP. 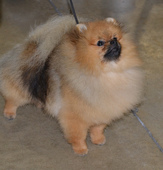 It is bred to be a breed that keeps on giving in all categories and look great at the same time while doing so. They are beautiful dogs, i owned a yellow and chocolate lab for a long time but after they passed i got 2 gps. 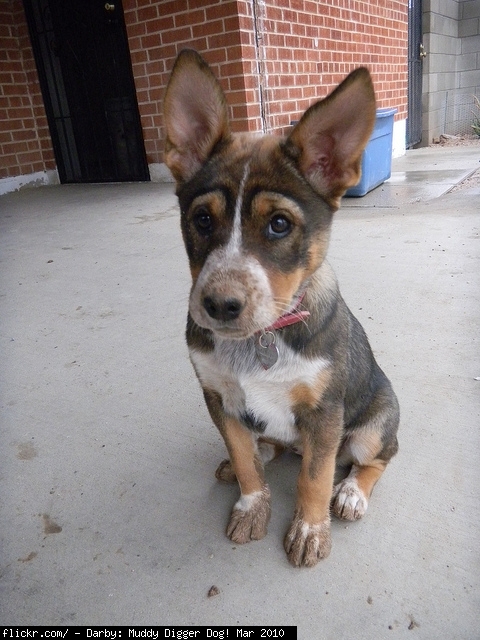 They are a little energetic as pups but they are very loyal and fun to be around. They have a remarkable sense to smell, i used both for hunting and they became perfect to point and retrieve. If you are interested in these dogs you must know that they need a lot of outdoors to run around. This one should be MUCH higher on the list! After owning a wirehaired for years, we decided on a shorthaired. With an extremely minimal amount of work (less than a week) commands are followed consistently & he has bonded strongly with my 3 & 4 year old sons. Quite possibly the best breed I've ever seen with kids ( I also own the #1 breed, the German Shepherd. No contest, the pointer is a better choice). I own a gsp. He is by far the best dog I've ever had. They're such handsome dogs, very energetic and loyal to their owners. Great dog. Our Shiba died recently at almost 13 yrs old. He was an alpha male, so embodied all of the Shiba traits to the nth degree, and we loved him for it. This breed is highly spirited and I would strongly advise against getting one if you are a first time dog owner. Shiba's require consistent, assertive and loving handling. They respond to respectful commands and requests, not forceful demands. Independent, yet unfailingly loyal, clean, with almost no doggy odor, but shed constantly and copiously, intelligent and expressive, they communicate frequently but rarely bark. They charm everyone they meet, so long as they know it's safe, and can become vicious protectors, if the situation requires. They are not lapdogs and prefer to sit beside their owners, for they view themselves as your equal. if they obey, it is because they choose to, as a sign you have earned their respect. A truly dignified, tenacious, stubborn,magnificent creature who will test you at every turn and hopefully deem that you are worthy of them, for if you are, you will be transformed from a mere dog lover to a human who is proud to know he is loved by such a dog. I love these dogs! I've never had one but I've heard great things about these dogs!!!!!!! Most beautiful, most loyal, most loving. Sweet, calm and loyal, our Pyr was like a nanny to my children when they were small. She took her job very seriously. She seemed to figure out what was expected of her without much training at all. I never thought I would have a favorite breed but this one is a standout! Such a beautiful dog breed. bull terriers may look like bad dogs but they are the funniest dogs one time I got mine a bucket of water to drink from but he dunked his whole head in there. The most beautiful dog breed!! These dogs have a very nice fur and a very bright face also they are kind and they do well with people and other animals! 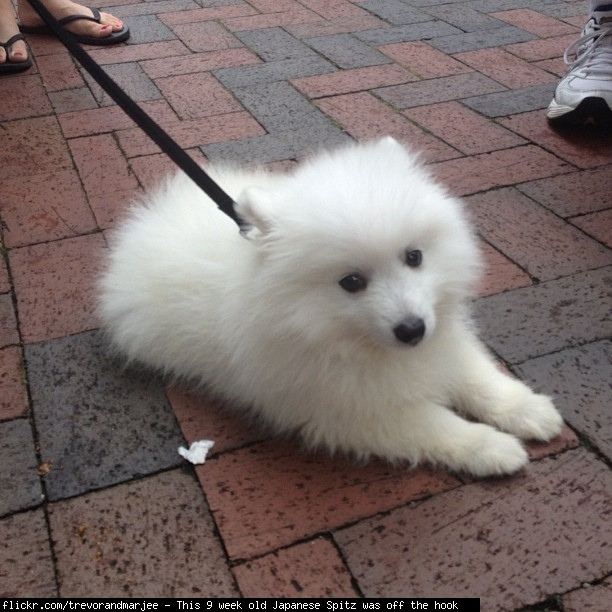 The other name for samoyed is smilie dogs because the shape of their lips is like they are laughing... The are one of the most ancient dog breeds!!! 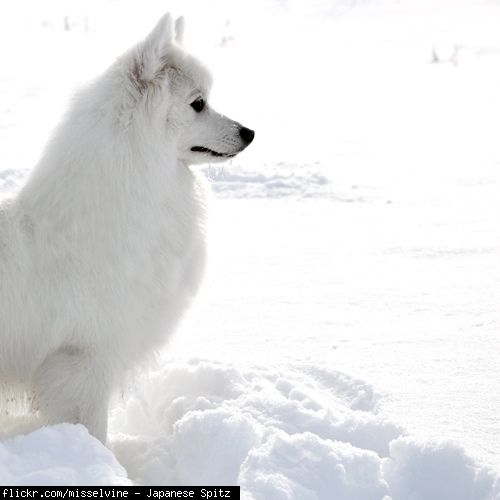 Even tho im10 I m the BIGGESTdog freak ever and my dagger dog breed is the SAMOYED,,!! !They ar esm art,funny,cute fluffy,and soooooooosweet!So even tho I'm a kid I reeeelly want a samoyed if I had to choose one I would coose the Samoyed!So please forgive me if I mispeld some words but I'm in a hurry I'm soooooo tired but I wanted to tell evrybody how awesomly amazing Samoyeds are to me and hopfuly someday evrybody els!!! i have a samoyed and he is the cutest smartest dog i have ever had!! most beautiful sweet natured dog I've ever looked after. simply stunning. Friend has two. great with kids very beautiful 'Donut' the large 3 yr old male corrects himself. Stepped on the 'Muffin' their New Malamute puppy and flinched. careful around her ever since when owner is scolding the 'muffin' 'donut' barks or gently nudges 'muffin' Really awesome! Collies have a soft, sweet personality, great with other animal and have the most beautiful gate. Wonderful with kids. they're really great all rounders. they love walks and have endless energy. really friendly- i've never seen an aggresive 1 EVER! Probably the most loylal and loving dog, easy to train 2. Can't believe they are at #53 mine does tricks by sighn or by voice command. I have a standard longhair black and tan boy named Howie and he is the most goofiest, laziest dog ever! :) all he does is sleep on his back lol. He's 35 lbs, lean, and healthy! I have 2 mini doxies and they are such sweet little girls. These dogs are very loyal, loving and have great personalities. THE MOST AWESOME BREED EVER! THE MOST CUTE TOO! Newfoundlands are the gentle giants. They are the very best dog for children, experts even say. They are strong, and help as water dogs. Absolutely the best dog and the most beautiful dog you could have. Truly the best breed of giant dog i have ever had they were originally used to bring down bears as they have the extinct american black wolf in them great protectors they would give their life for you! Best dog breed in the world confident, smart and high energy but they need an owner who is the same or they will walk all over you. They are active, smart, energetic, obedient, love kids & family. Highly social if trained. These dogs should be #1!!! I love my wheaten so much!! He is so responsible and is very very smart! Owned a few other breeds. The Brittany is by far the overall best I ever had. My next dog is going to be another Brittany. Best breed. Most loving and loyal companion. They make great family pets. Best dog in the world!!! how can you have an american staffordshire bull terrier. I thought staffordshire in the name kind of gave it away. This dog is cute, smart and active. Very effective guard dog. 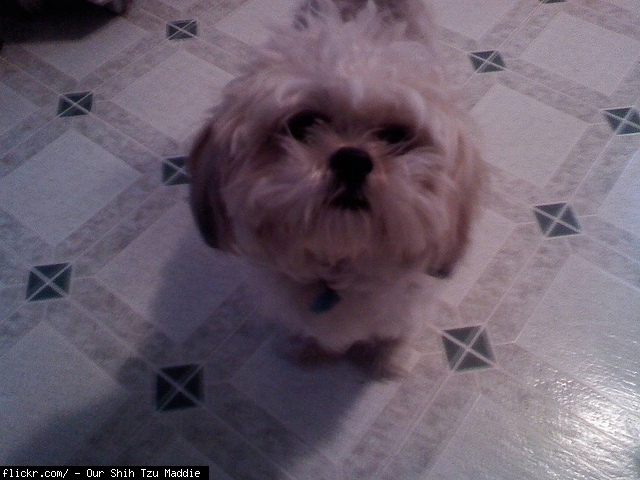 Sophie my shih Tzu is a lovely dog. Got her at two weeks and is very surprised at what she has learnt already! the most lovable dogs,friendly & cutest period! 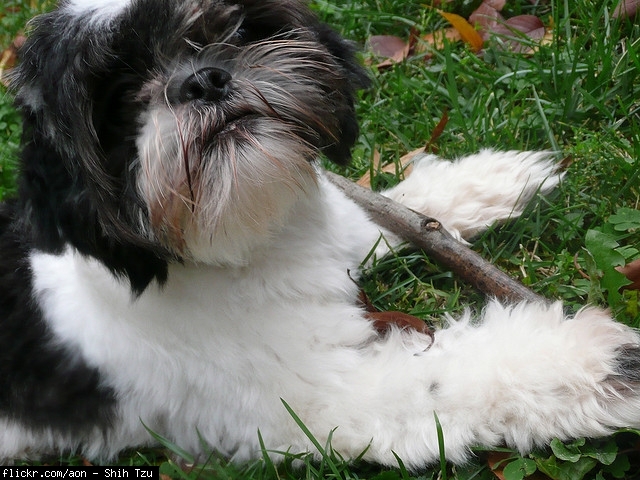 awesome breed, knows everything going on..
yeah agree, amazing dog.. very attractive ..
i love shih tzu .. They are the best! Loyal, friendly, protective, smart and beautiful. They can be a little michevious sometimes, in a good way :) Love my Berner! I just love my little girl sooooooooooooooo much!!!!!!!!!!!!!!!!!!!!!!!!! i love bichons they should be number 1!!!!!!!!!!!!!!!!!!!!!!!!!!!! I have a Bichon Frise and it is the most lovable adorable pet I have ever seen they are totally great for kids are very playful easy trainable and are up for anything I never seen a breed type of dog so perfect just the way it is I love my pets and always will they are so fun and crave attention. White fluff of love.. excellent temperment, great with kids, full of personality, captivating black eyes and nose... geneous breed!! I THINK TH BISHON IS ONE OF THE MOST BEST DOGS AND HAS THE BEST PERSONALITY FOR A BIG FAMILY, NO MATTER WHAT AGE YOU ARE !! i am shocked how low the bichon score is !!! it might not be the most popular but it is the most rewarding dog at the end ! Ya a pretty harmless breed here. Mom has a BF and she just sleeps and goes limp when you pick her up to cuddle. So easy, almost cat like. My grandma has one. Tanner is so sweet. It is very loyal and has an amazing charm. Our schnauzer is a smart, fun and loving dog. She is great with kids and has learned to get along with our other dog and 2 cats. Great Dog! They don't shed and love to play and have fun. They are energetic and are good around kids. They love squirrels and love to chase them. I don't know why they aren't number one though. They don't shed which is a pretty cool trait. They also have nice fur colors. They are the no. 1 pos. no way! dobermans are totally awesome and GORGEOUS, if they turn out mean blame the owner. maybe its the inconsiderate owners that should be banned from england, not the dog. i agree with Dogs4life. Them 2 comments are untrue, doberman are beautiful in their own way and what you have said shows that you can't love dogs THAT much. I don't know what dog you have, but if it's 130 pounds It's definitely not an english cocker spaniel.. 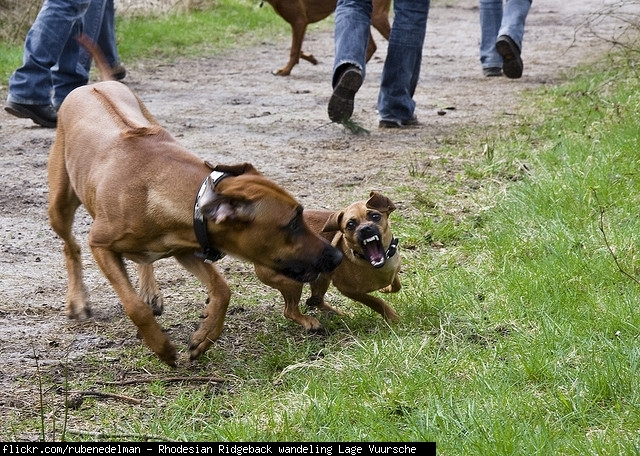 They are really good dogs but like other dogs they can suffer from rage syndrome and attack suddenly. They are beautiful, loyal, smart, loving, trainable, and my Liberty is the best companion dog I've ever had. The breed has a natural beauty, a high I.Q., and a attitude, make good lap dogs. I have one named chloe and she is the lovliest dog ever! Our Hav Bailey is the PERFECT small dog. No joke. Only flaw is bc of her black coat, she doesn't skype well. But seriously folks.....she does not shed, barks little, studys everyones faces to best please and looks like she fell out of a cute tree and hit ever branch on the way down. Unless you want a bigger dog for hunting or guarding, the Haviness is the only choice. If I had a puli, the only I would do with it every day is grooming it. So, if you have no time to groom a dog, you should not get a puli. 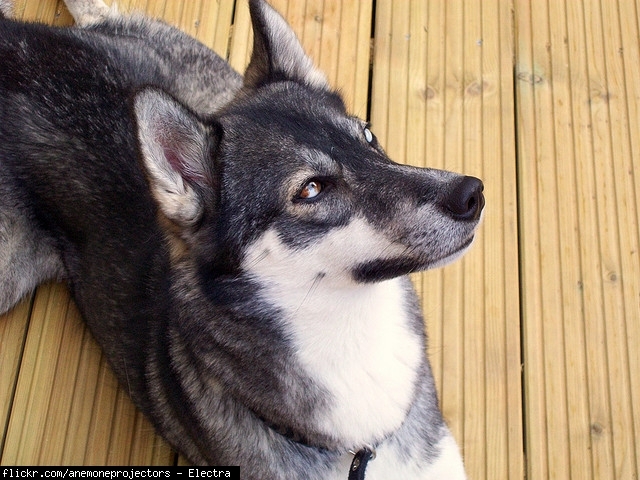 Incredibly beautiful dog, i am very surprised that barely anyone has heard of them. Very loyal and friendly dogs. They were bread specifically to protect sheep from wolves. They are fast, strong, confident and protective of their owners, especially younger children. The St. Bernard is a lovley Dog that helps around the world. He is also a BRILLIANT guard dog. He has beautiful looks and barks loud... Still not as awesome as a German Shepard though. i am a bichon lover but i have to admit i love this breed ... the only thing is you have to watch it carefully when it is young because it could fracture its leg when jumping of high furniture. Honestly, i think the bichon and italian greyhound should be higher ! i found my pit a year ago on the side of the road it was 3 months old I honestly wasnt going to keep her because of the ignorance ive heard about the dog and boy was i misinformed this dod is the sweetest nicest best dog ever and how glad am i that i didnt believe the negative hype. I have 2 pits and love them both the most gentle and honestly loving dogs I have ever owned. They are very intelligent, energetic, but also a bit stubborn and can walk all over an owner if they are not prepared for it. If trained properly they will be the best family dog you have ever known. i had a pitbull and he was the greatiest dog any one can have, he got sold off without our permission to pay someone elses rent, we found him a few years later at a house known for dog fighting, and yeah he was mean. but for those of you who thank pitbulls are mean and vicious for any reason other then the owners resposibility can go to the deepiest parts of hell where ill be waiting for you there laughing at your filthy half-breed ignorence. Anyone who thinks the most widely owned dog in the United States isn't going to be abused and have bad repuatation associated with them is probably also a supporter of the anti gun laws... You aren't intelegent congrats. Horrible breed. They should be banned, period. Wow so far down for such an amazing animal. One of the few animals that used to be considered the babysitter dog. Incredibly loyal, loving, and friendly. PS people with small dogs...train them to be around other dogs, big dogs get bad raps because when a small dog acts out and hurts or scares a big dog and the big dog protects itself, its always the big dogs fault. Not exclusively pits but bigs in general. Socialize your pets!! Pit bulls are one of the most, if not the #1, smartest dog on the planet.Pit Bulls are wonderful conpanions of all dog breeeds and are easy to train if you start early. STOP MAKING THIS BREED SO HATED!!! beautiful/graceful hunters and are extremely good with kids. And are very graceful,smart, goofy, loving and loyal. although they need lots of exercise so would be best fitted with outdoorsy or athletic peoples. Lovable, easy to train, doesn't shed!!!! These dogs are the best! Loyal Bubbly energetic easily trained loving and an all round energetic striking looking dog! boxers are my fav. dog.they are just too awesome & i just love the brindle . I have a puggle and no matter what my grandchildren do to him he is great with them. I wouldn't trade him in for anything. It's the way they are raised just like any animal loving when raisd with love aggressive when raised aggressively. Best dogs I've had the pleasure 2 own and b around.there so loyal and attentive there very easily trained and never leave your side.they are very protective when need b.they listen so well and can b trained for anything.its almost like they understand u but are unable to talk back.they are very strong so coming accross a mean 1 will do much damage because of there strength.I don't understand why they are not used as police dogs.best breed hands down,they have every thing you would want a dog to do and have. I have a pitpull and a American bulldog, they never bit anyone. Pitpulls are not aggressive it depends on the owner. A lot of people today who want a tough, aggressive dog, today that is the pitbull (just like in the 90s it was the rottweiler, and in the 70s and 80s it was the doberman.) that is why the pitbull breed has attacked a lot of people now a days, but the breed itself is a great dog. In short the pitbull gets a bad reap not because it''s a bad dog, it's because of bad owners. They should be banned, period. i have a rottweiler pitbull mix and she is so nice. I love her!!!!!!!! pitbulls are misunderstood. how aggresive they are revolves around there owner and there background in life. most amazing dog ever easy train and great family pet!!!! I know they are not popular but much smarter than this spot on this list. The Miniature Pinscher is a small, fun, loving dog. Loves being the center of attention. Very Loyal, Intelligent, lively, and brave. Needs plenty of exercise. Quick to learn new tricks. I like this dog because they are very cute and very energetic. chinese shar peis are amazing. i think these should be in the top 3 most gorgous dogs ever! even if they are quite dangerous, they are still ultra cool and amazing. The best all purpose dog you can find. Excellent family pet, intellegent, strong, athletic and affectionate. I have two and they are the best family dog you have. Fast,loving ,strong,protective,playfully with my kids he makes a wonderful pet and very intelligent He is easy to train...! My dogs name is camo. She stopped mom from stepping on a rattlesnake and saved our chickens from being eaten by raccoon's opposums skunks and foxes. She is my best friend. Gentle giant most definitly fits the description of this beautiful dog! They are great with children and are the loving companien i would strongly recommend! If you have never heard of these dogs, then do look them up on the computer then you will see what i mean!! Will fight to the death protecting family and home. Kills any other animal that moves unless told not to (won't harm our chickens after being told not to). Only animal I know that can kill a skunk before the animal sprays. Extremely loving, powerful, energetic, smart, athletic and has very high tolerance to pain. Mostly hates all other dogs not living on property and must be the alpha. Our Great Pyr is submissive to the Catahoula. Jumped the fence to go after 3 pit bulls chasing grandson and took down 2 while the third ran away. Had to call him off to let the other 2 injured ones limp home. I had a Weimy for 15 years. Bigger than avge at 110 lbs (male). The most loving dog I have owned, wanted to be with me at all times (would awake from a sleep to follow me to the bathroom; waited outside shower door; when on the phone I swear he got a tad jealous....lol). Incredibly smart, almost becomes a detriment in that they are escape artists. This is no cliche', my dog got out of a hotel room (heavy door that was locked and opened inwards..??) when I left for no more than 5-10 mins. Broke out of two different dog-hotels, one of which had a locked chain-link fence. Poor vet tech opened the outer door, only to see my Weimy waiting at her feet. She screamed and ran away, assuming a thief was on the premise. 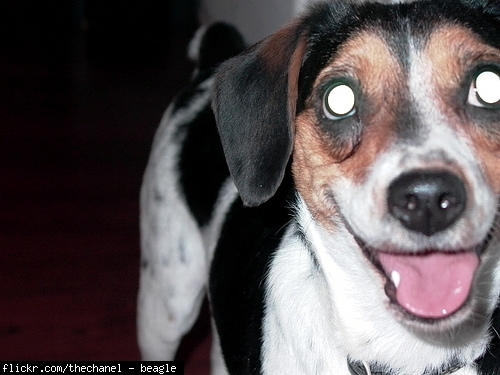 If you get this dog, be sure you have plans to run or work this dog virtually every day. If you don't, these dogs can get a bit rambunctious. I own a Catahoula mix border collie/pit/ blue merle and I must say that they are indeed the loyalest, protective, and extremely intelligent dog I've ever had. Shes so gentle and protective of my 2 grandsons, its as if she were their mama. Its so precious!! They are like humans in a dog body. Use arrows to rank one item in Top 20 Dog Breeds vs another.